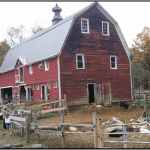 Preservation enthusiasts gathered at The Nettle Meadow Farm to honor and celebrate 2017’s Adirondack Architectural Heritage Award winners. The awardees shared their stories of struggle and success, delivered with passion and humor. Wiawaka Center for Women for their restoration of the 1903 Wakonda Lodge (Town of Lake George, Warren County). Deer’s Head Inn, owners Carolyn Sicher, Aaron Woolf, Karin Demuro, and Dr. Robert Demuro, for their restoration and rehabilitation of this 1808 building (Town of Elizabethtown, Essex County). Valcour Brewing Company, Mary Theresa Pearl and the late Terry Schmaltz, for the restoration and rehabilitation of the 1838 Old Stone Barracks (Town of Plattsburgh, Clinton County). Friends of Stillwater Fire Tower, for their restoration of the 1919 Stillwater Fire Tower (Town of Webb, Herkimer County). 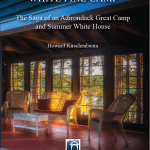 Camp Turk, for their long term stewardship of an historic Masonic youth camp (Town of Woodgate, Oneida County). 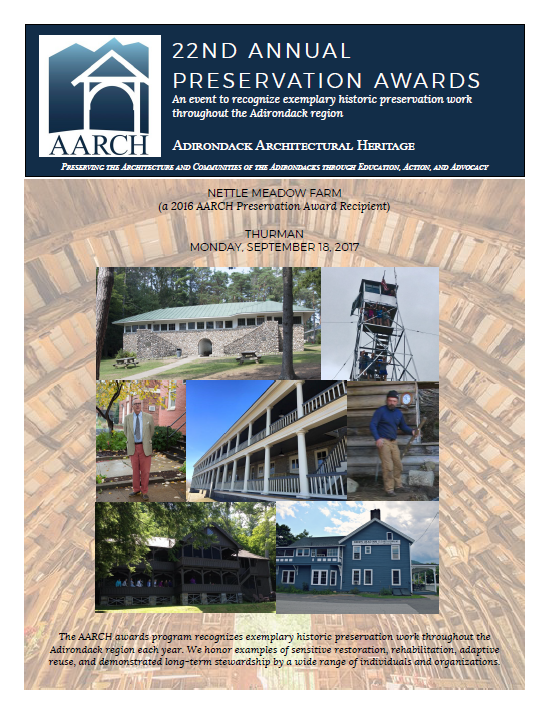 Richard Longstreth, for his extraordinary work to create and publish A Guide to Architecture in the Adirondacks in 2016. 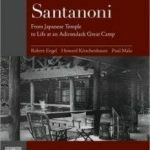 Michael Frenette, for his skilled and sensitive restoration work at Camp Santanoni over nearly twenty years.